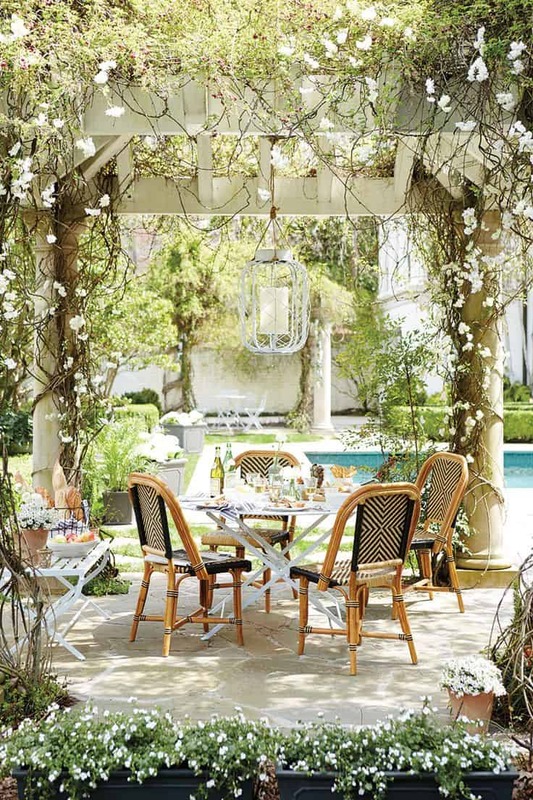 These dreamy patios will give you lots of inspiration for decorating your own outdoor spaces. This past weekend, (and yesterday actually), have been absolutely amazing weather here in the PNW. My hubby and I got to work doing a little lawn care, washing off our patio furniture, planting some seeds. It was wonderful. I missed that weather so much. I guess that’s why they call it sun therapy? It just feels so energizing to get a little sunshine. I hope you guys had some good weather wherever you are out there! I do know this though – Spring is coming! 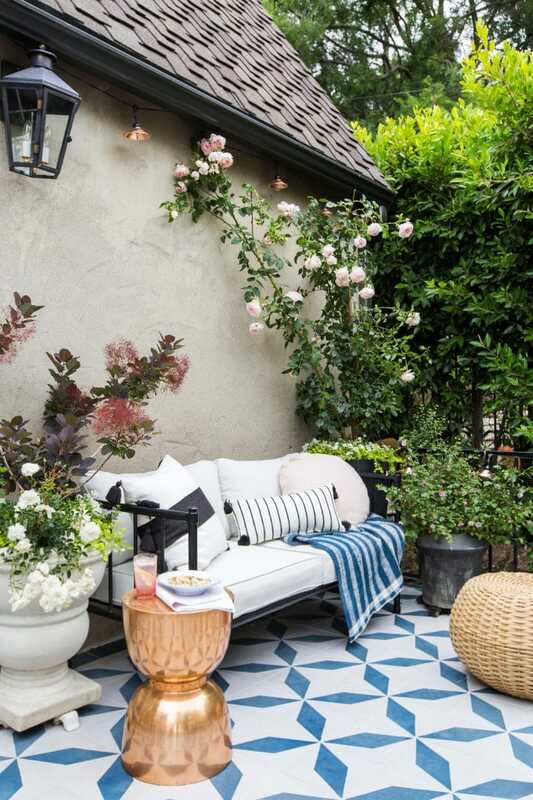 I’ve rounded up some of the dreamiest, most romantic patios ever that we can drool over until we can officially get out there ourselves. Unless you live in a place where you can be outside all year long. (You’re so lucky!) But you can still get some good ideas from these photos. I try to pick unique photos that I don’t see repeating all over my Pinterest feed. Although, there is one in here that’s pretty popular that I just couldn’t leave out (do you recognize it?) 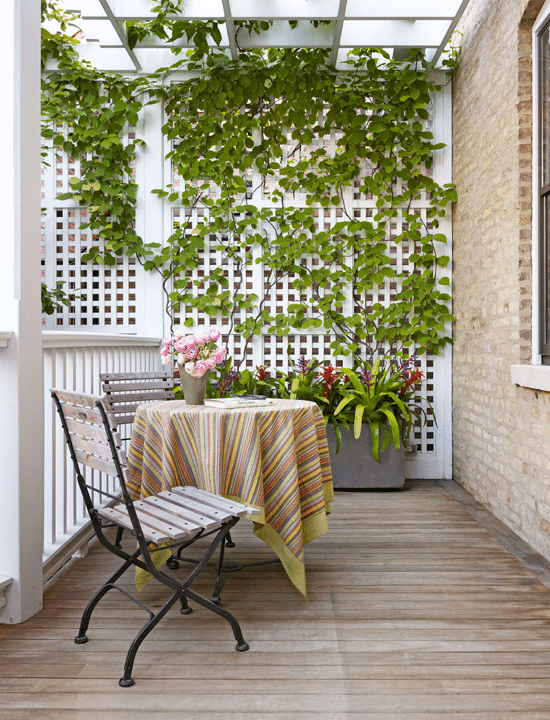 If you guessed the Emily Henderson patio space (pictured above) – you are right. 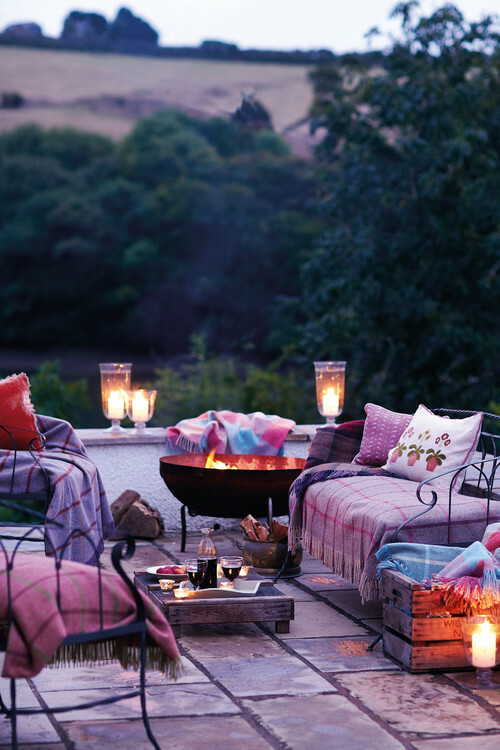 This is one of my favorite outdoor spaces ever. I love the plants, the furniture (Target! ), the painted tile floor. It’s just amazing. 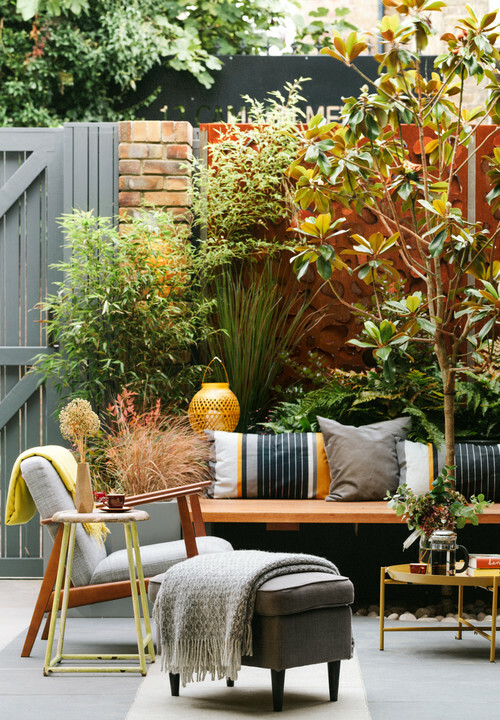 Check out these additional dreamy patios! If you notice a running theme with most of these spaces – it’s casually hung string lights, lost of plants and greens and cozy textiles. Even though this is technically a fall set up, I still love it for spring/summer too. 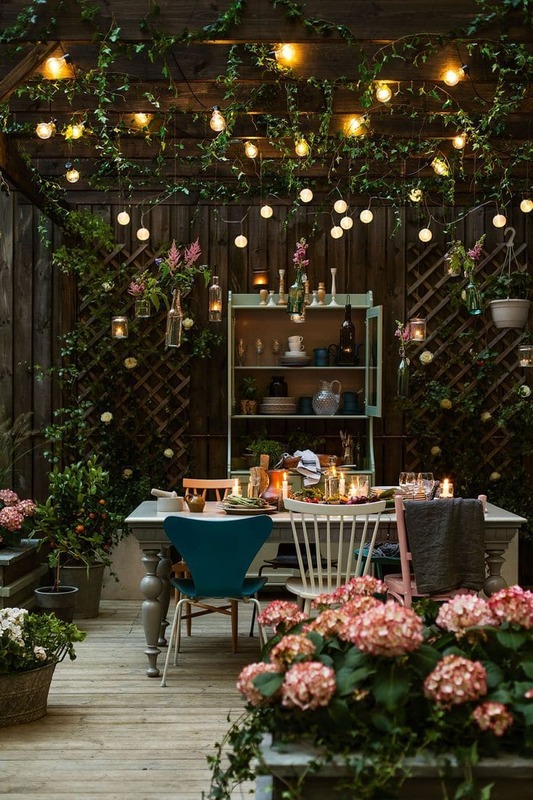 The lights, the greenery, the mismatched chairs! So cool. I love the blue color palette on this next one! 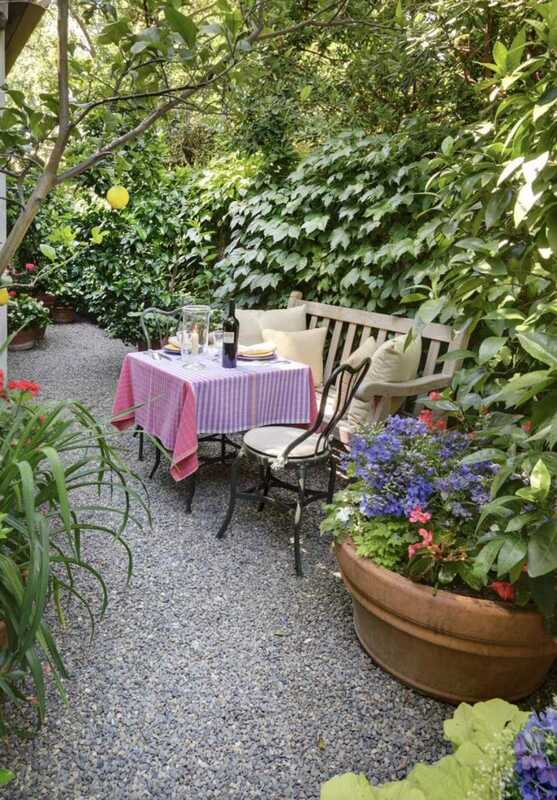 This is like, the perfect spot for outdoor dining. So dreamy! 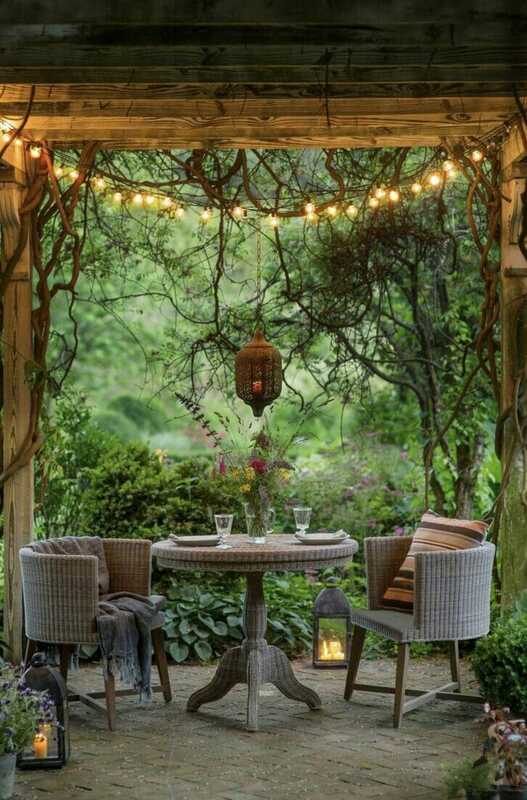 I love how pretty this outdoor space is. You guys should definitely click through here to catch more of this beautiful outdoor area. Ummm, bougainvillea? Yes, please! When my hubby and I went to Arizona on vacation, these beautiful flowers were everywhere. They are just as pretty and bright pink in person. Unfortunately, they don’t really grow in the PNW. But if you live somewhere that’s a mild climate, definitely think about growing these beauties at home. Grab your candles, pillows and blankets! Doesn’t this look so cozy? 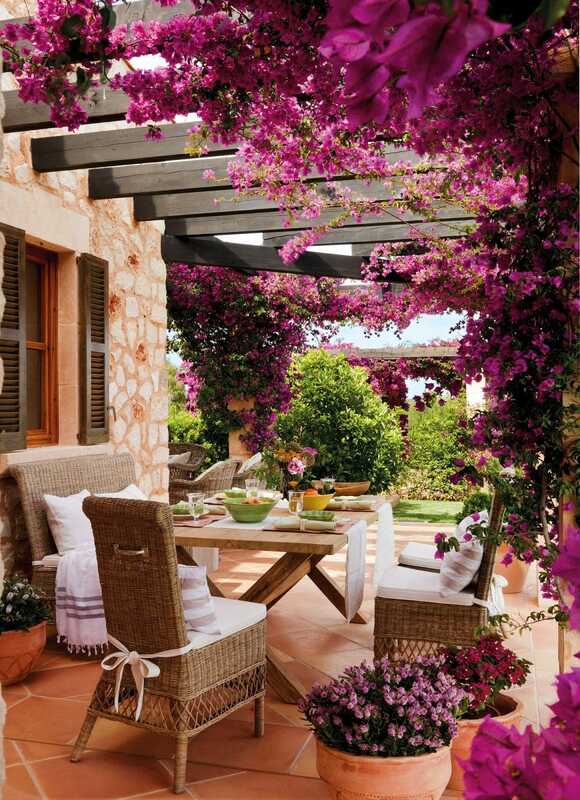 I love the bright and fresh color scheme of this patio space. 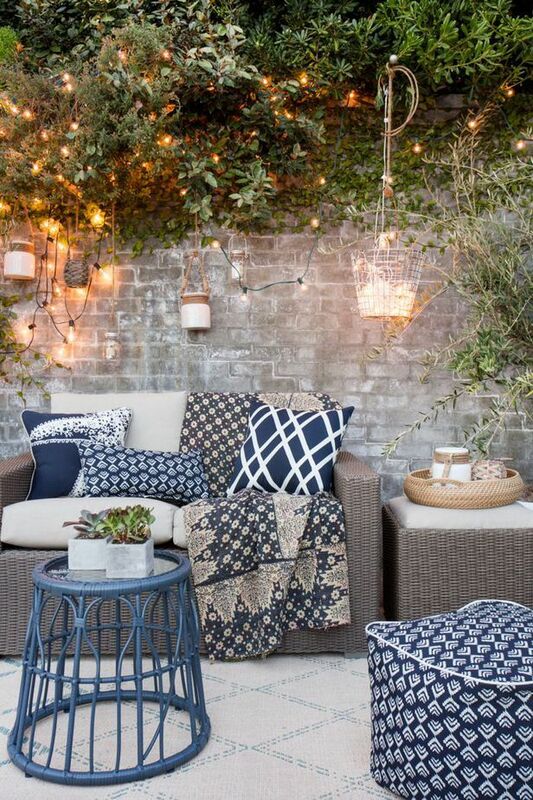 More lights and greenery and beautiful patio furniture. Did you guys catch the ZZ plant next to the chair there? I love the Park and Oak outdoor lounge chairs, they’re beautiful and they look so comfortable.